This beautiful five strand pearl necklace was handmade and locally designed by our friend and artist Marian Raser. A piece like this would be wonderful to wear to your next wedding reception or special occasion. 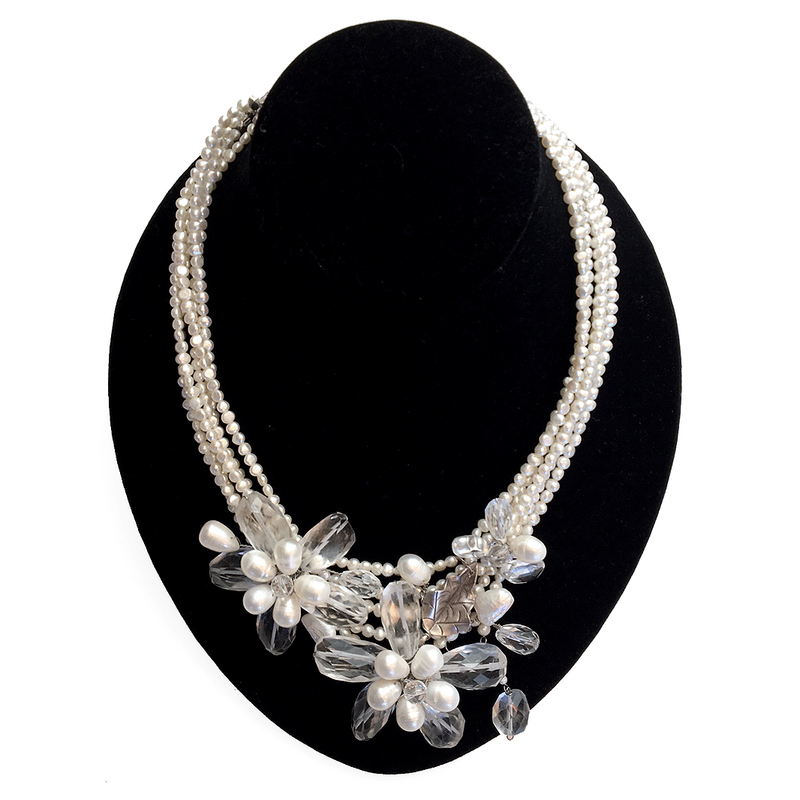 The flowers are made of pearls, antique silver, and rock crystal.